Blogging Beautifully: Enjoy the View with bi-fold Doors. I love being able to see the outside while sitting in the house. To be able to enjoy our garden or other beautiful views that are meant to be enjoyed is good for the heart and soul, plus I just really enjoy being able to enjoy looking onto a nice garden or out onto a decent view. On a balmy, warm summer night imagine being able to fold back the door, let the air in and enjoy the evening breeze while being comfortable sitting on the sofa. Imagine entertaining and being able to make the most of space using these handy bi-folding doors allowing people to pop in and out at their own choice. I absolutely love them, I think these would work really well in our conservatory rather than the double doors we currently have. Not only do they look fab but they are super easy to operate, they are strong and durable and look great. 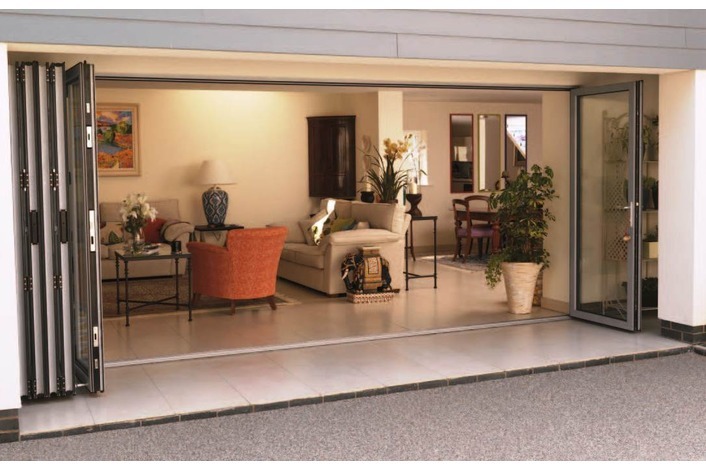 You can opt for either the internal bi-fold doors (i.e to separate a conservatory from the house) or the external bi-fold doors (to open up the outside space into the inside space) depending on your requirements. I think it's just nice to be able to have that option. When it's a hot day I love to keep the doors open into the garden, it encourages us all to go outside and enjoy the day but also the children love to be able to come and go into the garden as they please. I'm a strong believer in letting them go out in any weather if they want and feel it's important they get fresh air daily so these doors would enable them to do just that. 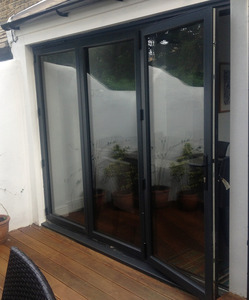 The folk over at Folding Doors 2 U with their aluminium sliding doors are very much on hand to discuss and provide lots of useful information. There is tons of information on their website should you wish for a little more information and advise. There are also lots of pictures and images of their doors so you can get a real insight as to what the finished article looks like. So head over and have a look and see what you think.